Retainers which are also known as orthodontic retainers are the devices which are made customized for every orthodontic patient. The best part is that the patients get their orthodontic treatments done in a much easier way when these are used in a proper way. There are several types areavailable in todays time depending on the purpose of the treatment and the expected results from the treatment. Initially, patients need to have patience while and during wearing of the retainers according to their treatment targets. Moreover, the best thing is that these can be removed in particular way by the patients which can be learned very easily under the guidance of the orthodontist. Moreover, these are quite comfortable to most of the patients once the patient wears it a couple of times. The most commonly used and the primary type arethe Hawleys retainer. The metal wires present in these can be adjusted to ensure movements for the achievement of the desired results. In this way, the orthodontic retainers are of great benefit to the orthodontic patients. The Essix retainers are the vacuum formed retainers which are indeed of great help as they do not allow the upper and lower teeth to come in contact with each other for maximum of 24 hours. The appearance of these aresimilar to that of the invisalign trays. Therefore, it is clear and is aesthetically well appreciated by the patients. When the patient feels the need to eat foods, the Essix are removed. 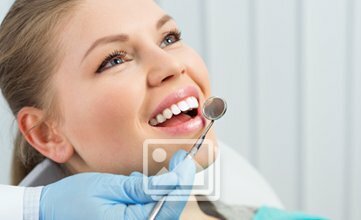 The fixed are the ones which can be removed only by the orthodontist. In major cases in orthodontics where the reversal of the changes can occur, these retainers are used successfully by the orthodontist.